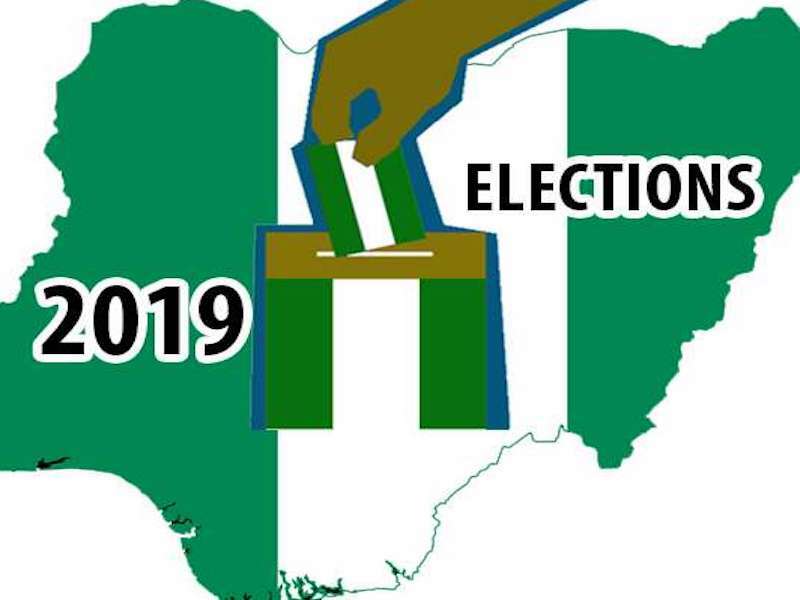 It is natural and almost certain that the outcome of the presidential and national assembly elections would give a direction to next weekend’s governorship and state assembly polls. This is however not total. There are a few states with peculiar internal dynamics, whose posting would be determined largely by their peculiarity, regardless of what the result of the last elections says. 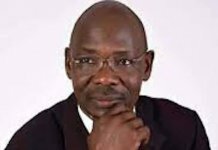 Although the internal contradictions in a majority of the states would also play up, either for their good or bad, what cannot also be underestimated is the impact of the outcome of the presidential and national elections, the basis of which would form the projections this week ahead of next Saturday. With two senate seats to PDP’s credit and one to the APC, coupled with the presidential election results, which gave 219,698 votes to Atiku Abubakar and paltry 85,058 to Muhammadu Buhari, incumbent Governor Okezie Ikpeazu might just be on his way back to the Government House. 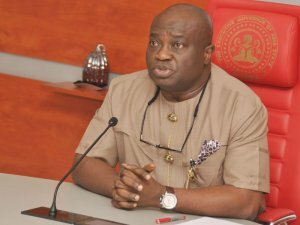 Although there are other considerations that could aid his reelection like the Abia Charter of Equity, it does not mean the opposition would not try to route him, which means he cannot afford to take anything for granted. 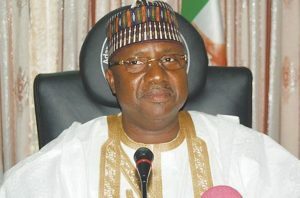 Although the incumbent governor, Jibrilla Bindo, is of the APC, he lost two senate seats to the PDP in the last elections, being the home state of the party’s presidential candidate, Atiku. In addition, the state also lost the presidential election with 378,078 to PDP’s 410,266 votes. This makes the governorship battle dicey for the APC, although not impossible. It is dicey here and the race is to the swift here. 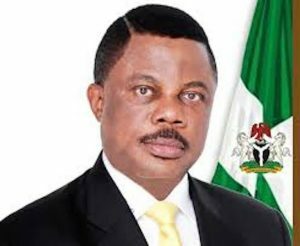 Governor Willie Obiano has many things at stake here. He probably gambled badly in the last election. He openly declared support for Buhari at the expense of his brother, successor and benefactor, Peter Obi. 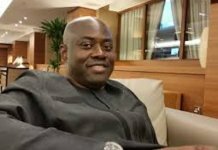 To that extent, he lost all the senate seats in the state – two to PDP and one to a relatively unknown YPP. Thus, while a governorship election would not be holding in the state, elections of members of the state assembly is critical and so, he needs to double up his stripes and gets tougher otherwise he might conclude his race as a loner governor and by extension bury his party, the APGA. Perhaps, not many people gave Governor Udom Emmanuel any chance in the last elections. With his benefactor, Godswill Akpabio on the other side, including the series of harassment he experienced in the lead up to the elections, it was almost concluded that the APC would annex the state. But the governor proved everyone wrong. 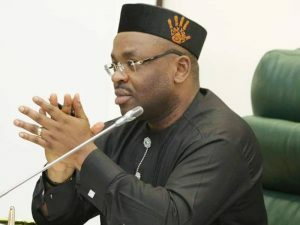 He not only delivered the presidential election to the PDP with 395,832 polls to APC’s 175,429, he also cleared the three senate seats, including Akpabio’s seat. He might be waiting for his crowning next Saturday. Election here may not be more of a serious contest as the ruling APC is likely to retain the governorship seat, although not without a fight from the PDP. But with a good result from the presidential bout which claimed 798,428 votes to PDP’s 209,313, coupled with clearing other seats, the APC appears quite comfortable here. One of the unsung upsets in the last election was the ability of the APC to win a senate seat in Bayelsa State, particularly the one which covers the district of former president Goodluck Jonathan. But that cannot change the fact that the state is PDP’s. And since there is no governorship election here, the party is likely to clear all the state assembly seats. It did not do badly in the presidential poll, delivering 197,933 to Atiku, while APC did well too with 118,821. APC’s inability to put its house in order has only enhanced the chances of the PDP in Cross River State. The battle over APC’s governorship candidate is still ongoing even when the election is days away. Although the party has suspended one of the parties, Usani Usani, it does not take care of the subsisting disaffection. This however manifested in the last election, where the PDP cleared all seats and also delivered its candidate with 295,737 votes to APC’s 117,429. The election is Governor Ben Ayade’s to lose. The results of the presidential poll was close, given PDP’s 356,817 to APC’s 347,668 votes, it still does not change the fact that the opposition party rules supreme in the state as it cleared the three senate seats, among others. This suffices that Governor Samuel Ortom might be warming up to be returned to office next week. In the presidential election, Borno posted one of the most queried results, having delivered the APC with 836,496, while the PDP polled some miserable 71,788. To cap this, it also cleared the senate seats significantly. APC can afford to take things for granted here. By retaining two senate seats and conceding one to the APC, however with a good posting at the presidential level, the PDP is clearly still in charge in Delta. It delivered PDP with 594,068 votes, while the APC had 221,292. That notwithstanding, PDP is still the party to beat here. 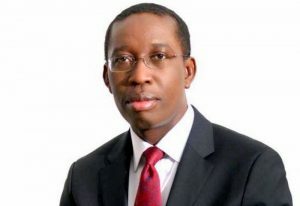 Governor Ifeanyi Okowa is good to go. With three senate seats in the bag and posting 258,573 votes to APC’s 90,726, Ebonyi clearly has nowhere to go. 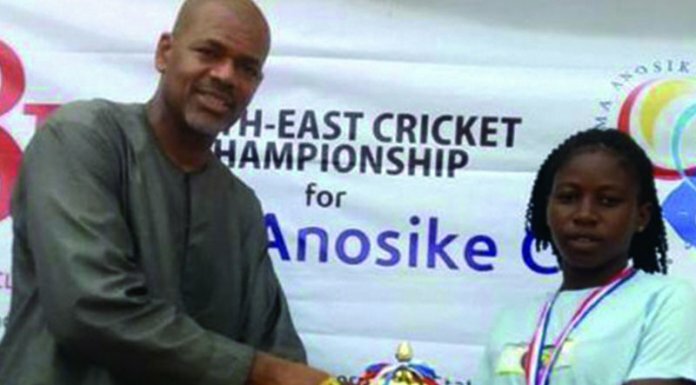 As a South-east state, it is PDP’s – a sure bet more or less. Although the state delivered two senate seats, it was however unable to deliver the president with its 267,842 votes to PDP’s 275,691. Like Bayelsa and Anambra States, Edo State governorship too is not up for grab but the state assembly seats, which might be stiffly contested. The outcome of the presidential elections has created the room for serious battle. By clearing all the senate seats and also delivering Buhari with 219,231 votes as against PDP’s 154,032, Ekiti is not bothered about what next Saturday holds for it. Besides, it is also not in for the governorship contest, therefore, it would have the time to concentrate on the assembly election. It’s likely going to be an all-APC affair. Surprisingly, the opposition was able to grab one of the senate seats here, but the ruling PDP delivered its party and candidate at the presidential election with a handful 355,553 votes to APC’s 54,423 votes. However, for next week’s governorship, the PDP candidate, Governor Ifeanyi Ugwuanyi is the man to beat. 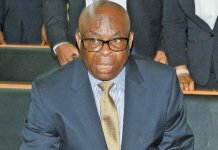 His vantage position has been further enhanced by APC’s internal crisis, which has seen its candidates saunter in and out of the courts. Nothing has yet changed for the PDP. 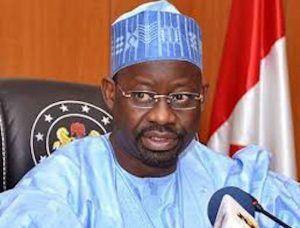 Outgoing governor of Gombe State, Ibrahim Dankwambo is of the PDP and has spent eight years in the saddle. Sadly, he was unable to deliver his state. He lost the three senate seats and did poorly at the presidential election, polling 138,484 to APC’s 402,961. It could be assumed therefore that the governorship is gone too, except of course, miracle happens. It is a lost state. The dynamics of Imo politics is different from all other states and it has always been so. While the state lost the presidential election to the PDP by polling 140,463 votes to the opposition’s 334,923, the battle for the senate seats was yet another intense struggle as they both shared the seats. However, the dynamics for the governorship is going to be different. The parties on the trenches are PDP, APC, AA and APGA – all boasting nearly equal strengths. The election is therefore open to all, with the smartest dusting the others. With 794,738 votes to PDP’s 289,895 at the presidential election and three senate seats, Jigawa is clearly an APC haven. The election is not a contest; it’s a crowning. Having cornered two senate seats, polling hugely at the presidential run, Kaduna should naturally go to the APC. Indeed, some 993,445 votes to PDP’s 649,612 cannot be glossed over. But with the poor attitudinal disposition of the governor, the election of next weekend cannot be said to be a walkover but a serious battle. In Kano, Buhari polled 1,464,768 while the PDP polled 391,593, in addition to clearing the senate seats. That’s too much to contemplate where the next election might swing except the unexpected happens. President Muhammadu Buhari’s sentiment is incurably pervasive being his home state. Like Kano, Katsina too posted 1,232,133 at the presidential election as against PDP’s 308,356. The party also has the senate seats. Even if heaven changes its colour, Katsina remains Buhari’s comfort zone. With its senate seat intact, result of its presidential run is also encouraging. It polled for Buhari some 581,552 votes, leaving the PDP to struggle with 154,282. The ruling party is not perturbed here. It appears to have it all under control. 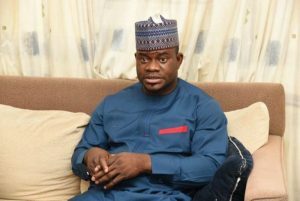 Governor Yahaya Bello has proven to be incapable of holding down his own, time and time again, even though he is quick to take ‘selfies’ with the president. Apart from being unable to stop the president’s most ardent critic in the senate, Dino Melaye, he also struggled to deliver the state to Buhari. He polled 285,894 as against PDP’s 218,207. His seat too is not up for grab in the election of next week, but his choice of those in the state assembly is not a certainty yet. Nothing is at they seem here. Naturally, the results of the last set of elections should give a direction of where Kwara might head next weekend. With the three senate seats gone and a good posting of 308,984 votes to PDP’s 138,184, the governorship and state assembly seats look like a walkover for the ruling APC. But the Kwara dynamics could change next weekend. It is a possibility that cannot be thrown away on account of the excitement that greeted the last election. It is important to observe cautious optimism. Lagos has the three senate seats and also posted some poor 580,825 to PDP’s 448,015 votes. But this cannot guarantee the party’s victory especially if the voting pattern is taken into serious account. The PDP is gradually proving formidable and cannot be taken for granted. The governorship is not a done deal yet. While it is commendable that the APC cleared all the three senate seats, the result it posted is short of expectation. With 289,903 to PDP’s 283,847, the party cannot afford to go to bed here. It is going to be a fight to the finish. Three senate seats in the bag and a good report from the presidential election to show for, Niger APC’s 612,371 vote to PDP’s 218,052 is indicative of an APC affair. After putting up a poor showing at the last elections, from the presidential to the national assembly bouts, APC in Ondo is in trouble. 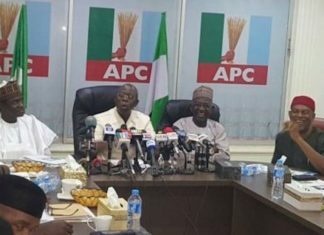 The result of its presidential election, which saw the APC polling 241,769 and PDP 275,901, is a confirmation of the fears by many that all appears not well. Although not holding a governorship election, ensuring one house at the state assembly also appears impossible. Ogun APC under the leadership of Governor Ibikunle Amosun did fairly well with the senate and presidential elections. While clearing the three senate seats, it also delivered Buhari with some paltry votes at the presidential poll – 281,762 to 194,655 votes. But the dynamics of the governorship is different. Other APC leaders want Dapo Abiodun, their candidate, Amosun desires his choice candidate, Adekunle Akinlade, although now in another party. 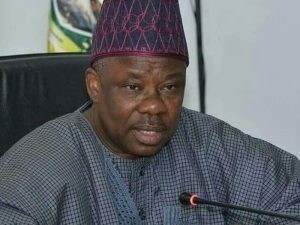 The election Ogun is going to be tough and uneasy for all, more so that Amosun has been suspended. It is very fluid. Nothing is sealed in Oyo yet. Yes, the party has two senate seats; it however failed to deliver Buhari. While the APC scored 365,229, the PDP garnered 366,690 votes. Currently, the party is seeking every alliance possible to deliver the governorship. But the Oyo that many people know can throw up surprises at any time. Osun too struggled to clinch two senate seats. But the result of its presidential election is disappointingly close. While polling 347,634 votes, the PDP scored 337,377 votes. Sure not on the ballot for governorship on Saturday, its state legislature is. And it is not going to be an easy task. Judging by the results of the presidential election, which gave PDP victory with its 548,665 votes to APC’s 468,555, the party is not standing well in the state. The governorship might be at great risk except the party and Governor Simon Lalong do something fast. Its senate election is also not impressive. 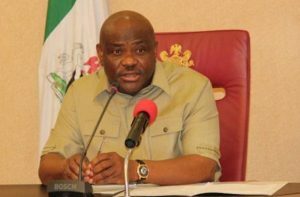 In Rivers, Governor Nyesom Wike is running against himself. Apart from the fact that the main opposition APC is not fielding candidates for any of the offices, the candidate of APGA, Dumo Lulu-Briggs, who could have given him a tough time, has been stopped from running by the court. And now, other contestants have stepped down for him. He also delivered the PDP with 473,971 votes to APC’s 150,710. He is only waiting to be crowned governor. Sadly so! 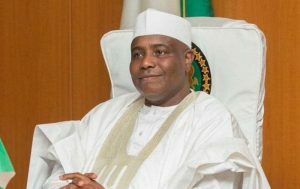 With other positions gone and a poor showing at the presidential contest with APC’s 490,333 to PDP’s 361,604, the governorship is definitely a hard nut to crack for Governor Aminu Tambuwal. He could push harder though. 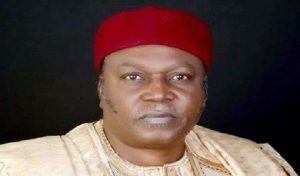 The margin of defeat might not be too significant, including the sharing of the senate seats – Taraba remains traditionally PDP’s. It polled 374,743 votes to APC’s 324,906. 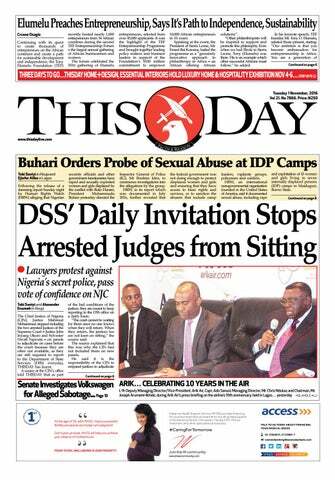 But Governor Darius Ishaku must sit up to make it happen. As one of the states that delivered big for the APC with 497,914 votes to PDP’s 50,763, Yobe is in a comfortable place, in addition to keeping the three senate seats. It seems impregnable. Apart from doing well at the senate elections, Zamfara, which was enlisted for the elections late, also delivered the APC with 438,682 to PDP’s 125,423 votes. The governorship poll may not be as difficult. The name of the president is still valid for marketing in the state.